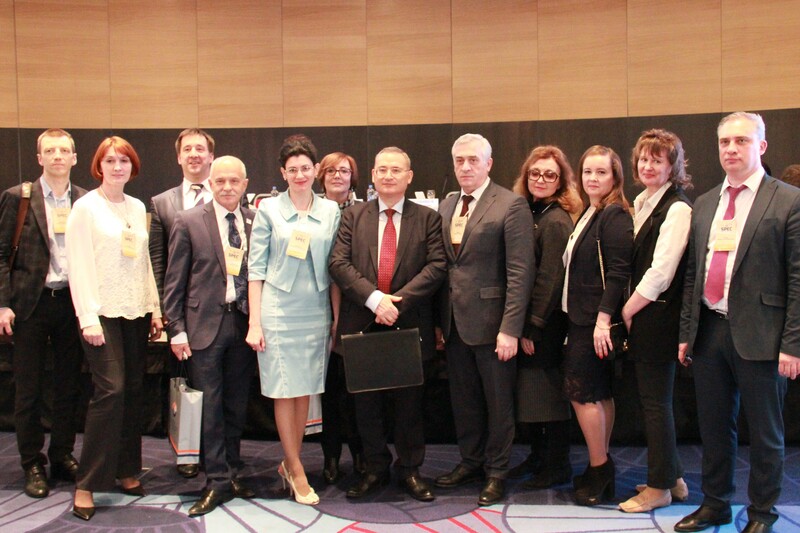 April 2, 2018, St. Petersburg hosted the 4th Saint Petersburg International Economic Congress (SPEC-2018). The president of the Ural Branch of VEO of Russia, USUE Rector , Professor Yakov Silin became the moderator of the breakout session "The Fourth Industrial Revolution and Digitalization: What Future Can the Economy Expect?" Co-moderators of the session were vice president of UrB VEO of Russia, president of the Ural Chamber of Commerce and Industry Andrei Besedin (Yekaterinburg) and vice president of UrB VEO of Russia, vice-rector for Academic Affairs of South Ural State University, Doctor of Economic Sciences Andrei Shmidt (Chelyabinsk). At present, the Ural Branch of VEO is compiling an edited volume of papers delivered at the breakout session of St. Petersburg International Economic Congress "The Fourth Industrial Revolution: What Future Can the Economy Expect?"